Do High Protein Diets Impact Kidney Health? A recent scientific review set out to understand whether long-term intake of high protein diets has any negative impact on kidney health. 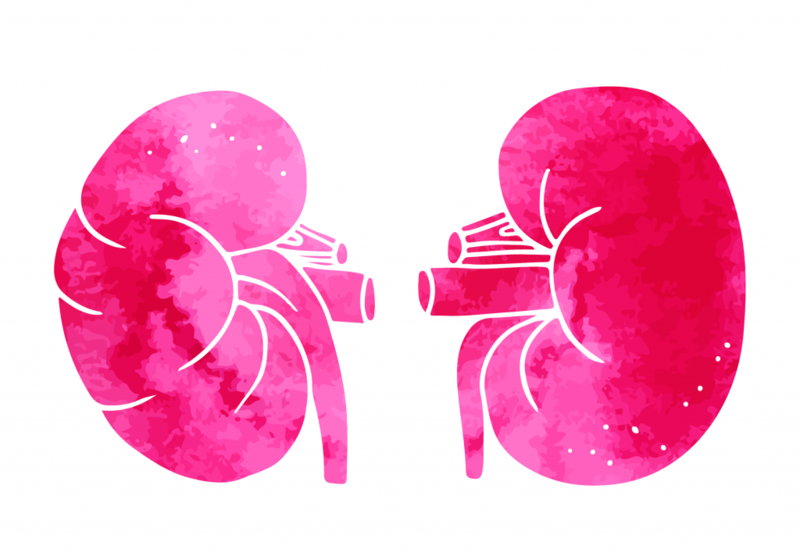 They found that in the short-term (<6 months), there are no negative outcomes for measurements of kidney health. However, there were not enough long-term studies to confidently say if high protein intakes do or don’t have an impact on kidney function over a longer period of time. As protein becomes more and more prevalent in our food supply, either through fortification of packaged foods or recommendations of high protein diets, it’s important to keep in mind any negative impact this could have on health. For decades, there was thought to be a link between high protein intakes and impaired kidney health. When your body uses protein, it creates waste products that are eliminated by the kidneys, so it was thought that it was hard on the kidneys to get rid of higher amounts of this waste product. Only recently did this ‘common knowledge’ begin to be challenged, with many organizations now clarifying that normal kidneys are perfectly capable of dealing with high protein diets – they are only hard on people with impaired kidney function. Still, there is some question about whether following a high protein diet for long periods of time has any impact on kidney health. A study published in the journal Advances in Nutrition looked at 26 different studies to see the impact of higher protein intakes on kidney health. Dietary recommendations for protein are 10-35% of total calories in a day or 0.8 grams per kilogram of body weight, which is equivalent to around 55-60 grams of protein per day for an average weight man. The average intake of adults in the US is much higher, 88 grams per day for 19-30 year olds. This is still well within the range of 10-35% of total calories, however. Researchers compared kidney function of those with higher protein intakes (>20% of daily calories, or 10% greater than average protein consumption) and found that, in the short term (<6 months), there were no negative effects on measures like glomerular filtration rate (GFR), blood pressure, or other blood markers of kidney function. According to the authors, “these data further indicate that, at least in the short term, higher protein intake within the range of recommended intakes for protein is consistent with normal kidney function in healthy individuals”, but the authors call for more long-term studies to truly understand the relationship.